2016 Xpress H 18 This 2016 Xpress H18 is powered by a 115H.P. 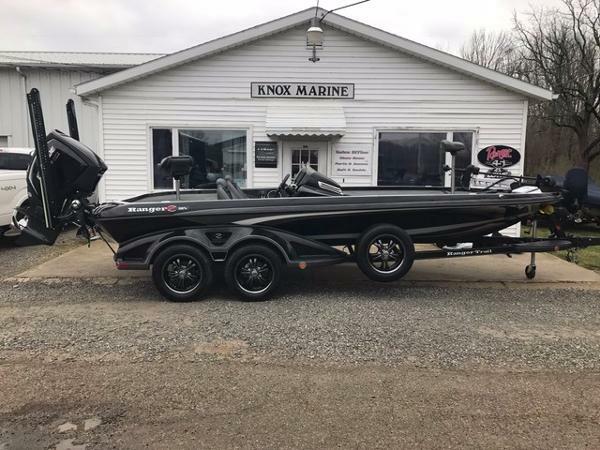 Yamaha and is equipped with a Minn Kota Fortrex Trolling Motor, Hot Foot, Humminbird Helix 5 at Console, Humminbird 197c, Talon 10', Single Axle Trailer with Spare Tire. For more detailed information, please contact Knox Marine. 2017 Lowe 1810 Fish and Ski This 2017 Lowe 1810 Fish and Ski is powered by a Mercury 150H.P. 4 Stroke and is equipped with Rear Jump Seats, Bimini Top, Swim Platform, Ski Tow, and Tandem Axle Trailer with Spare Tire. For more detailed information, please contact Knox Marine. 2016 Ranger Z521 Comanche This 2016 Ranger Z521C is powered by a Evinrude 250H.P. 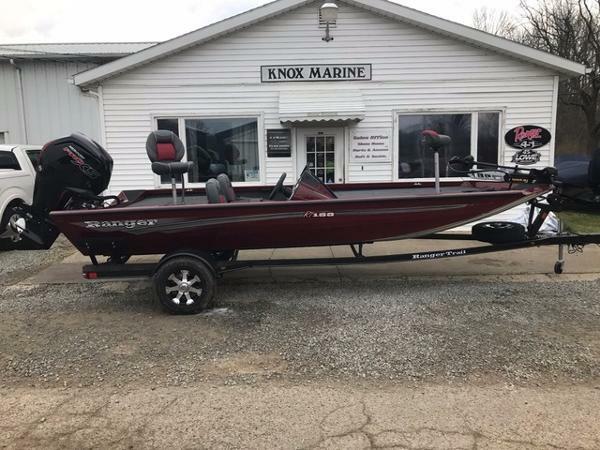 ETEC G2 and is equipped with a Minn Kota Ultrex 112# Trolling Motor, Lowrance HDS 12 at Console, Lowrance HDS 12 at Bow, 2-10' Power Pole Blades, Hydraulic Jack Plate, Tandem Axle Trailer with Spare Tire. For more detailed information, please contact Knox Marine. ***Ranger factory demo*** please call for special pricing. 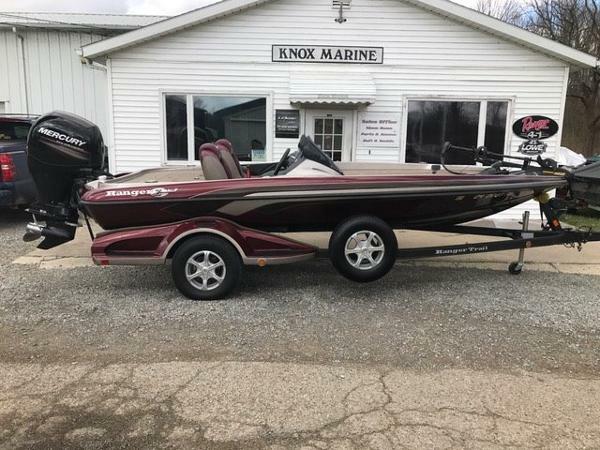 2014 Ranger 1880 Angler This 2014 Ranger 1880 Angler is powered by a Mercury 150H.P. 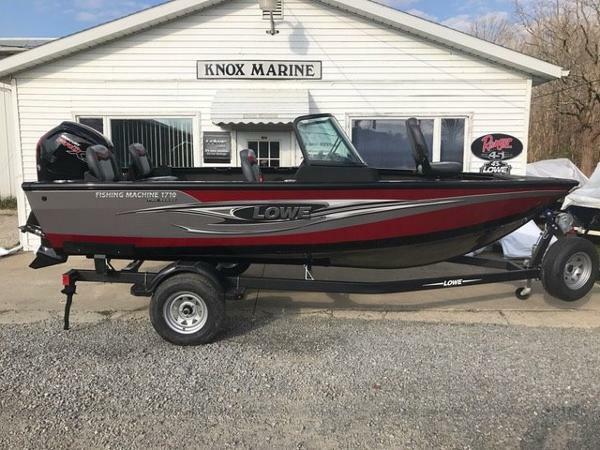 4 Stroke and is equipped with a Minn Kota Terrova Trolling Motor, Lowrance HDS 7 at Console, Lowrance HDS 5 at Bow, Boat Cover, Single Axle Trailer with Spare Tire. For more detailed information, please contact Knox Marine. 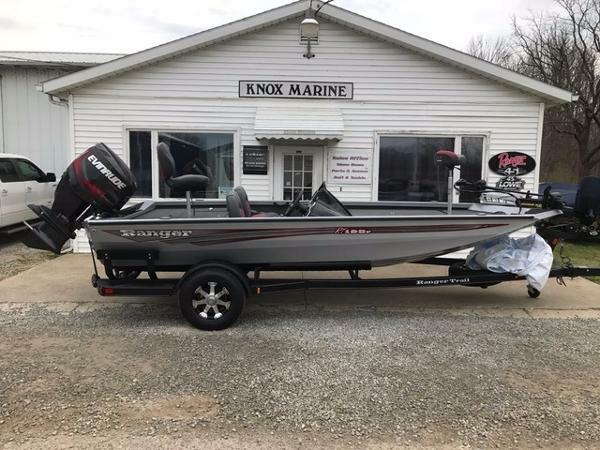 2017 Ranger 1880MS Angler This 2017 1880MS Angler is powered by a Mercury 150H.P. 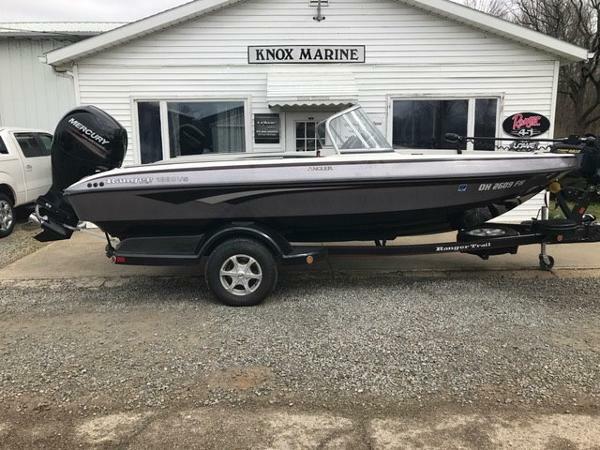 4 Stroke and is equipped with a Minn Kota Terrova IPilot 80# Trolling Motor, Lowrance HDS 7 touch at Console, Walk Thru Windshield, Rails, A Pack. 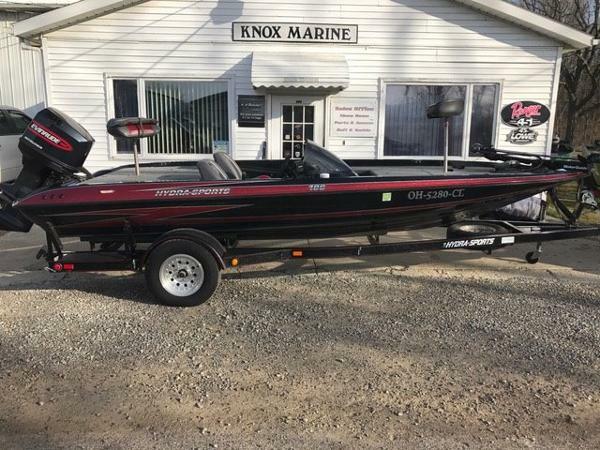 For more information, please contact Knox Marine. 2017 Ranger RT 188 This 2017 Ranger RT 188 is Powered by a Mercury 115H.P. 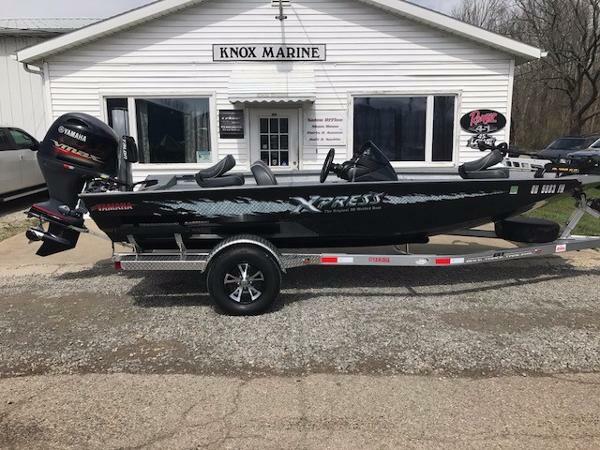 Pro XS 4 Stroke and is equipped with a Minn Kota Fortrex 80# Trolling Motor, 3 Bank Charger, 4" Manual Setback, Deck Step, Single Axle Trailer with Spare Tire. For more detailed information, please contact Knox Marine. 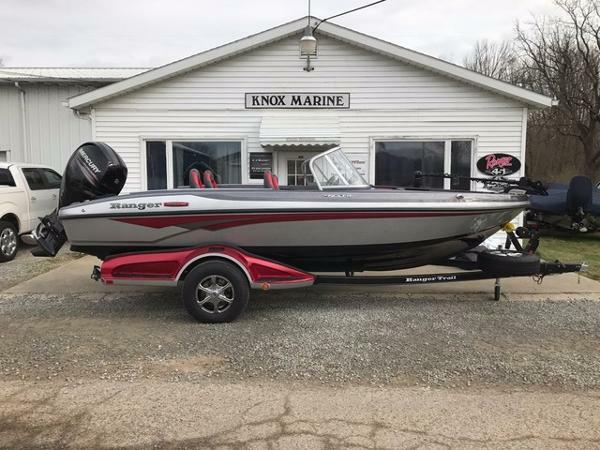 2017 Ranger 198P This 2017 Ranger 198P is Powered by a Evinrude 150H.P. ETEC and is equipped with a Minn Kota Fortrex 80# Trolling Motor, Fish Pack, Auto Bilge, SS Prop, Single Axle Trailer with Spare Tire. For more detailed information, please contact Knox Marine. 2009 Triton EXPLORER 17 This 2009 Triton Explorer 17 is powered by a Mercury 90H.P. 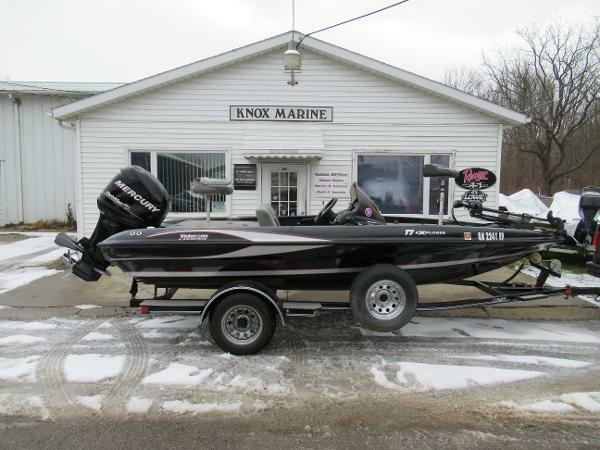 Optimax and is equipped with a Minn Kota Maxxum 70# Trolling Motor, Boat Cover, 2013 Single Axle Trailer with Spare Tire. For more detailed information please contact Knox Marine. 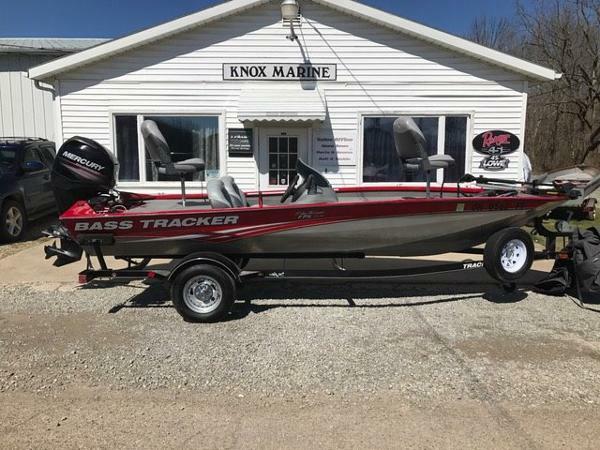 2013 Tracker Pro Team 175 TXW This 2013 Tracker Pro Team 175TXW is powered by a Mercury 60H.P. 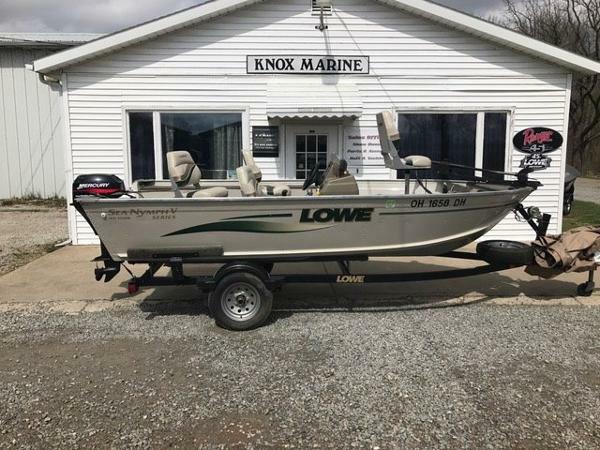 4 stroke and is equipped with a Minn Kota Edge 45# Trolling Motor, Lowrance 4x Pro at Console, Boat Cover, Single axle trailer with Spare tire. For more detailed information, please contact Knox Marine. 2012 Ranger Z118 This 2012 Ranger Z118 is powered by a Mercury 150H.P (76Hours!!!). 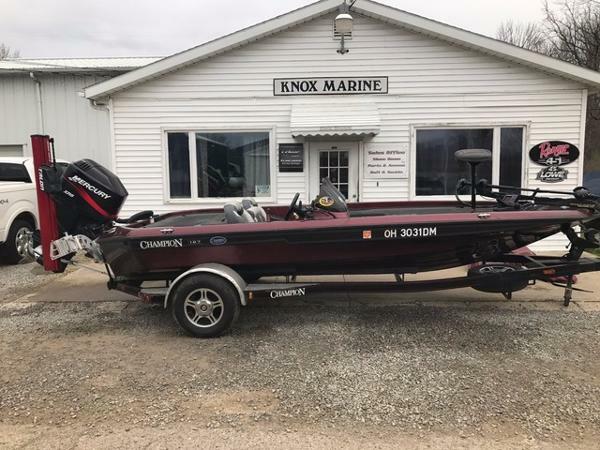 4 stroke and is equipped with a 70# Minn Kota Maxxum trolling motor, Humminbird 898c at console, Garmin 400c at bow, Z pack, Boat Cover, Dual Console and single axle trailer with spare tire. For more detailed information, please contact Knox Marine. 1998 Hydra-Sports 196 This 1998 Hydra Sport 196 is powered by a 150H.P. Evinrude and is equipped with a Motorguide 71# Trolling Motor, Single Axle Trailer with Spare Tire and a Lowrance LMS 160. For more detailed information, please contact Knox Marine. 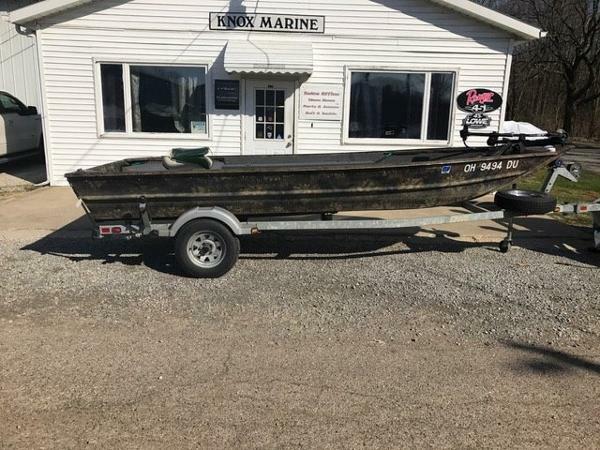 2005 Lowe Roughneck 1756 This 2005 Lowe Roughneck 1756 is equipped with a Evinrude Trolling Motor, Humminbird 858DI, custom cover, custom decking with storage, single axle galvanized trailer with spare tire. For more detailed information, please contact Knox Marine. 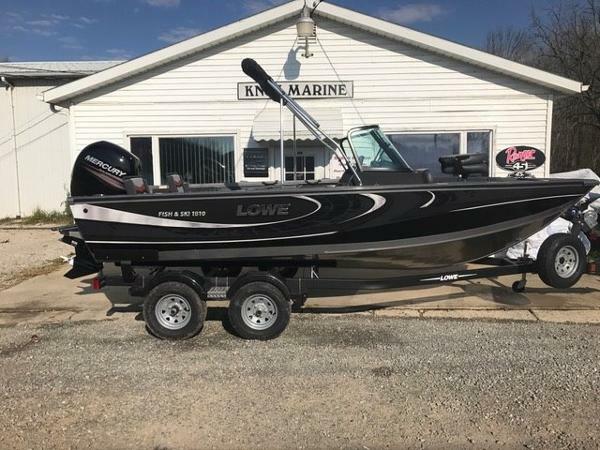 2017 Lowe 1710 This 2017 Lowe Fishing Machine 1710 is powered by a 115H.P. Pro XS 4 Stroke and is equipped with a Vinyl Floor Cockpit, Walk Thru Windshield, Rear Jump Seats and Single Axle Trailer with Spare Tire. For more detailed information, please contact Knox Marine.